A similar situation with wolves in Sweden has forced the largest organic lamb producers in the country to quit. Alarm bells are continuing to ring in the sheep sector over a possible future lynx release after Swedish farmers issued a warning about the devastation wolves have caused on their farms. 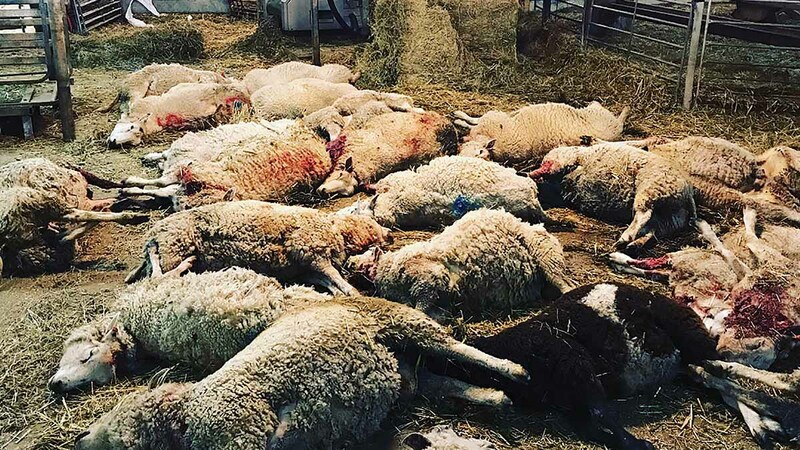 Tomas Olsson, chairman of Sweden’s Lamb Producers Association, said 13 wolf attacks over the last three years had killed more than 160 ewes on Molstaberg, the country’s biggest organic lamb farm, with the owner now considering giving up sheep farming entirely. He claimed the British sheep industry would suffer a similar fate if Lynx UK Trust plans to reintroduce six Eurasian lynx into Kielder Forest, Northumberland, went ahead. Mr Olsson said: “The wolf is a killing machine. It just kills for fun. “And if you compare it to the lynx, when they have the taste for sheep it is very difficult to protect your flock without culling them. The farm does what it can, Mr Olsson said, fencing it off with special fencing which the Government offers 50 Swedish krona per metre for, but it is not enough to cover the extra costs and maintenance. “The political decision on wolves says it should be possible to have livestock without problems, but it does not work,” he said. The Swedish government reintroduced the wolf throughout Sweden in the mid-1970s – except the reindeer area in the north – but it was only in 2000 when the project took off. Farmers can apply for culling if the wolf becomes problematic, but Mr Olsson said authorities offered no support to Molstaberg and dismissed its culling application. “The state has left responsibility with us farmers, but we cannot accept it. In Sweden we have about 500,000 sheep but in the UK there is more than 30 million,” Mr Olsson said. National Sheep Association south regional manager Bob Blanden added: “I know it is not this country – and thank goodness – but if we are not careful it will be. “It just highlights that we do not want any predator type animal in this country. That message needs to be put across very loud and clear.